Some novelists grind out the work; Maryilynne Robinson waits until the spirit moves. Lila is just her third novel since her 1980 debut, Housekeeping, and her first since Home in 2008. It completes her Gilead trilogy—sort of, as it’s more of a prequel ; that is, if it’s even possible to have a prequel to an epistolary novel, which was the format of her eponymous 2005 Pulitzer Prize-winning work. It does, however, answer a question that might well be on the minds of faithful Robinson readers: Is there a balm in Gilead? Answer: Yes, with qualifications. I have, however, no qualifications in recommending Ms. Robinson’s latest triumph. Once again we return to Gilead, Iowa—a town once the center of an abolitionist maelstrom, but now so time forsaken that the occasional motorist simply waits for a sleeping dog to rouse himself from the middle of the road. And once again we will visit the modest home of Congregationalist minister John Ames, a man who thinks about John Calvin—a lot. Lila tells the story of how the elderly Rev. Ames met and courted his second wife, the book’s namesake character. It is, in essence, Lila’s back story. Those who know anything about Calvinism know that predestination lies at the heart of Calvin’s theology. Ames, whose first wife and unborn child lie in the town cemetery, has spent his life in semi-reclusive mourning, but his grief, contemplation, and theological debates with his only real friend, the Rev. Robert Boughton, Gilead’s Presbyterian minister, have taught him that true acceptance of predestination can be oddly liberating­—one doesn’t waste time yearning for things not in one’s power to grant or deny. Nor does one try to change the forces of nature and Lila is indeed a force of nature. The book opens in 1920, when four-year-old Lila is stolen from her parents by a world-weary, tattered, and scarred older woman named Doll. We are led to imagine that Doll rescued Lila from abuse, neglect, and probable starvation, but it’s not entirely clear. The first two Gilead novels dealt with race, but this one is more about poverty—the deep, soul-searing variety that reduces humans to basic instincts that trump reason. Doll provides for Lila, but we are talking about life as survival, not reposing in the lap of luxury. The latter is an occasional warm fire or settling down for a few months before hitting the road again. “Family” is whatever band one falls in with from one moment to the next. Peril is a life condition, one that Doll tries to ward off with a lethal jack knife. Those who know history will recognize that Doll and Lila are essentially “Okies” a decade before that phenomenon was named. 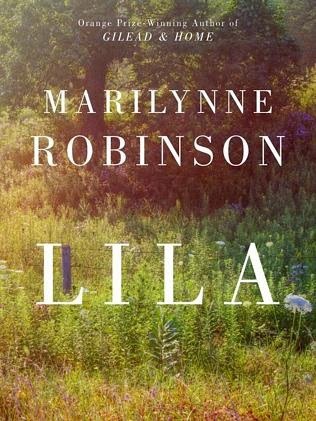 The sequencing also means that by the time Lila finally drifts into Gilead n her twenties—after Doll disappears into the legal system and Lila spends some time in a St. Louis whorehouse—it’s the for-real time of Dust Bowl refugees. Why Gilead? At first it’s because there’s an abandoned cabin there to provide shelter; later because she’s intrigued by the Rev. Ames. She has grown up informally-educated, semi-feral, self-reliant, and raw-boned—a woman who might be called “intriguing,” but never “pretty.” Faith fascinates Lila, but not because she believes a wit in salvation; she likes the stories and has a particular affinity for the Old Testament prophet Ezekiel, who is generally ranked high on the doom –and-gloom scale. As we might say today, she can relate! For his part, Ames sees Lila as a combination gift from God, test of his theology, and intuitive complement to his intellectual jousts with Boughton. Lila calls Ames “my big old preacher,” and she means “old” literally—he is decades her senior. It’s good that Ames is a Calvinist, because he recognizes Lila as a rolling stone that will gather moss only if she chooses to. Even after they marry and she is carrying Ames’ child, the good reverend knows that Lila might leave him at any second. One of Lila’s few personal possessions, Doll’s old knife, is an omnipresent reminder that Lila doesn’t actually need Ames. So he does what a good Calvinist should do—exchange hellfire and brimstone for the rule of grace, give Lila all the space she needs, and pray that it is God’s plan that Lila will find his kindness, soft bed, warm coffee, and sturdy roof sufficient for the days he has remaining on earth . One of the biggest chores of sitting through the Oscar marathon broadcast is listening to chat and acceptance speeches related to films you’re unlikely ever to see. 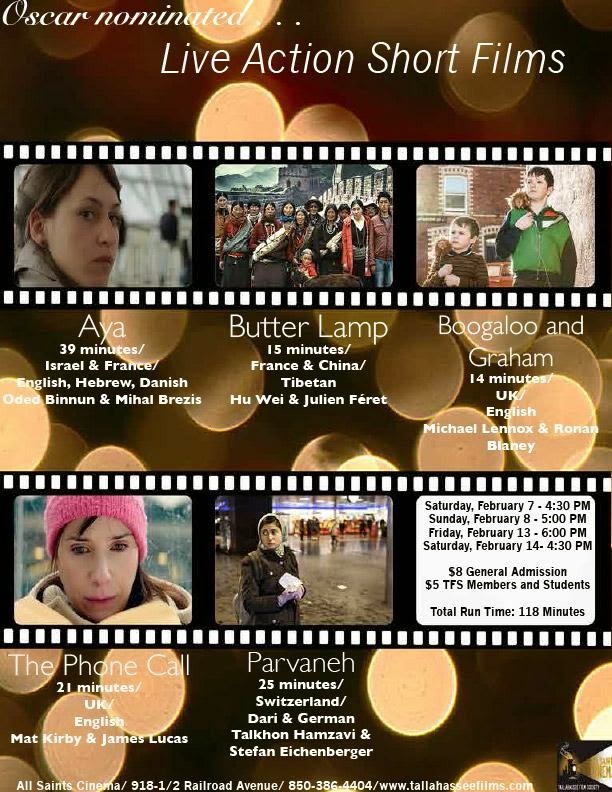 Is a local cinema near you playing the five films nominated for Best Picture in the Short Films—Live Action? Probably not. Kudos to Oscar for recent decisions to bundle such films, but you might want to skip the 2015 DVD when it becomes available. This year’s nominees consist of a few “cute” films and quite a bit of tedium. None of the films rise above the level of “competent” filmmaking. Lord knows there’s a lot of incompetence out there, but one expects more of films up for honors. Parvanah (25 minutes, Swiss, Directed by Talkon Hamzavi & Stefan Eichelberger) tells the tale of an underage and undocumented Afghan girl living alone in Zurich. The simple act of trying to wire money back home without an ID card leads her into an unlikely friendship with a privileged, but troubled Swiss teen. Nice idea and a luminous young woman in the title role, but this is also the most ham-handed filmmaking of the lot. Think filmed political correctness—by the numbers. Think Swiss teenager behaving stupidly–by the numbers. The Phone Call (21 minutes, UK, Directed by Mat Kirby & James Lucas) is the only film with recognizable names: Sally Hawkins and Jim Broadbent. That’s about all it has going for it. Hawkins is a crisis center phone volunteer trying to talk a lonely widower out of committing suicide. She’s torn between doing her duty and sinking under her caller’s world-weariness. It’s depressing, but also predictable. Aya (40 minutes, Israel, Directed by Oded Binnum & Michael Brezis) is the film I think will win–not because it’s the best in show, but because it’s the most stylish of the lot. Aya’s life takes an improbable turn when a chauffeur service attendant asks her to hold his customer pickup sign until he moves his car. The ride? A handsome, older Danish music competition judge. Aya impulsively decides to pretend she's his driver. Why? Maybe she’s bored with her marriage, maybe she’s starved for intellectual companionship, or maybe just wants to be spontaneous for a change. The film looks good and it traipses the border between intrigue and creepiness. That said, at 40 minutes it’s too long by half and doesn’t deliver enough wallop for the attention it demands. My personal favorite was a quirky effort called Butter Lamp (15 minutes, China/France, Directed by Hu Wei & Julien Féret). It’s just a series of vignettes–literally. Tibetan street photographers shoot family portraits in front of backdrops of places their subjects (or they) will never visit. This droll little film captures touching and funny ‘small’ moments within families whose lives Westerners can only imagine. Nothing much happens, yet we get a sense of life at the top of the world. My favorite moment is of an old woman who won’t stop bowing before an image of the Dali Lama’s Potala Palace. Another amusing entry is Boogaloo and Graham (14 minutes, UK/Northern Ireland, Directed by Michael Lennox & Ronan Blaney). It’s Belfast, 1978–a time in which British troops patrol the streets, random violence lurks, and curfews keep most people off the street. It’s not an ideal place for two young boys to grow up and it’s pretty hard on mom and dad as well. Life takes an amusing turn amidst The Troubles when the boys come into possession of two chicks–the title characters–and raise them to full chickenhood. But how can you keep chickens or boys behind concrete walls? This film manages to find humor and throw a spanner into our expectations. This is definitely a “cute” film–hardly innovative filmmaking, but a very pleasant diversion. War on Terror: send in the Hackers? 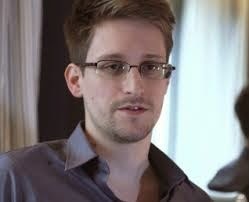 Should Snowden work for the government? Net neutrality is a hot-button issue these days. In principle it sounds good. After all, do you want your Internet Provider (IP) to restrict what you can watch? Isn't control the slippery slope to censorship? Like so many debates in our society, net neutrality is falsely configured as an either/or scenario. Freedom is not synonymous with unfettered libertine behavior. Think of "free" speech–one does not have the liberty to endanger public safety, incite riots, or use speech to conspire to commit crimes. So why do we think the Net is any different? Leave it to ISIS and its barbaric analogs to raise the ugly profile of freedom. It has thrived on posting beheadings such as recent screenings of the dismemberment of two innocent Japanese men. Evidence suggests that some of the monsters that wiped out the Charlie Hebdo staff in Paris were stirred by radical videos and websites. Misguided individuals view such content as evidence of muscular Islam, and some become recruits. Logic dictates that a useful tool in the war on terror would be to temper net neutrality talk and take the battle into cyberspace. Job one for any gathering movement is to call attention to itself. Shutting down the PR pipeline is akin to cutting off the supply of oxygen. Haters can still do harm, but deprived of a public podium, they are more likely to be relegated to the ranks of fools and ghouls. So let's shut them down. There are several ways to do this. First, revamp security agencies. Clean out the desk-occupying careerists whose views on spying were shaped by Cold War thinking. Let's recruit some tech-savvy younger spooks that can channel their hacking proclivities for good rather than mischief. Maybe we ought to call Edward Snowden in from the cold and let him set up a unit. Charge these folks with tracing the origin of hate group websites, hacking into the codes, and engaging in a game of disrupt, disrupt, disrupt…. Sadly, US aid dollars are often the enablers of terror infrastructure. That's a sin we can lay at the feet of Ronald Reagan. Jimmy Carter set up mechanisms by which US foreign aid was linked to human rights, but Reagan insisted that trade and aid ought not to march to a moral drummer. Reagan was wrong. We don't necessarily need to bomb IT or TV stations abroad–though that might need to be considered, especially in places without civil authority–but we surely shouldn't allow taxpayer dollars to flow to lands that turn a blind eye spreading terror. Third, make possession of hate materials a controlled substance like some drugs. I assume that the FBI has spies within the ranks of various hate groups. Instead of "monitoring" their activity, come down hard. If we know that a group has gathered to view a tape of a beheading, swoop in and arrest them all for illegal possession. Deport those who are not citizens and charge the others with hate crimes. Sound harsh? Homeland Security routinely deports Mexican immigrants for such 'heinous' crimes as driving without a license and shoplifting. Which is more of threat, a poor campesino ripping off a Wal-Mart or some martyr-wannabe gloating over the murder of innocents? And don't you think it's a bit odd that many public high schools have stronger hate crime codes than city, state, and federal governments? While we're at it, turn the hackers and trackers loose on domestic hate groups. Would new standards lead to a shut down of websites for the Ku Klux Klan and radical anti-choice groups? I can live with that.